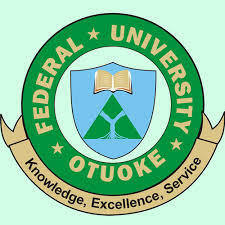 The Federal University, Otuoke, FUOTUOKE New Deadline of School Fees Payment for Old and New Students for the 2017/2018 Academic Session. The Senate of the Federal University, Otuoke, FUOTUOKE during 48th Meeting (Emergency), held on Monday, February 05, 2018 considered the issue of payment of school fees. This is to inform you that Management has approved Wednesday March 7, 2018 as the new deadline for payment of school fees. The school fees portal will be due to be closed for all students after the above deadline. According to the Senate, It was noted that only very few returning students have paid their school fees for the 2017/2018 Academic Session even though the session began eight weeks ago. In addition, Senate discussed a request from the Student Union Government for the reinstatement of students who were de-registered from the University due to their failure to pay their school fees for the 2016/2017 Academic Session. Senate noted the plea for it to temper justice with mercy on the matter. RETURNING STUDENTS WHO FAIL TO PAY THEIR SCHOOL FEES AS STIPULATED ABOVE WOULD BE DEEMED TO HAVE VOLUNTARILY WITHDRAWN FROM THE UNIVERSITY. Students are therefore advised to be guided by the above decisions and pay their school fees accordingly.